Hello I am Nikola Gotsev. 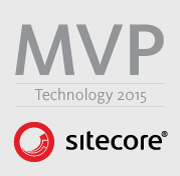 I have more than four years of experience building Web Applications with .NET and Sitecore. I have a master`s degree in Software Technologies from Plovdiv University where I graduated in 2013. I am currently employed as a Solutions Developer at Hedgehog Development. I am Microsoft Certified Developer: Web Developer 4 and I hold Website .NET Developer Certification for Sitecore CMS 6.5.